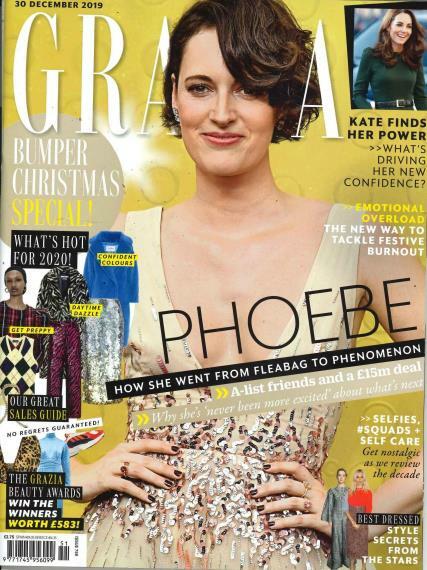 Grazia magazine is the must-have magazine for smart, forward thinking women. Buy a single copy or subscription to Grazia magazine. Breaking the latest fashion and beauty trends, combined with a mix of celebrity news, features and real-life stories. Be the first with all the front page stories, stunning designer fashion, fantastic shopping, hot gossip and much more with a subscription to Grazia magazine delivered to your door every week! It is the weekly Who, What, Wear. Work in a PR agency and this magazine shows me the best beauty and fashion trends. Thanks Unique.